This last September, the Joshua Center for Neurological Disorders held the 29th annual PorkOut auction dinner. 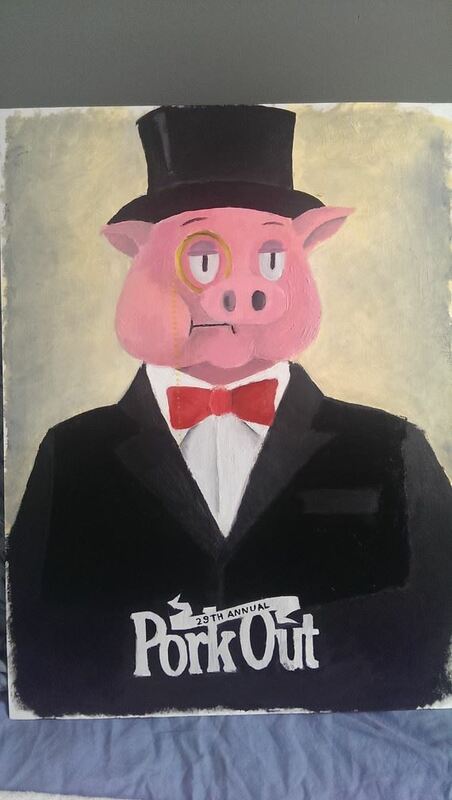 I entered another drawing of a pig into the auction, along with another “drawing of the highest bidder’s choice” and raised $100 more than last year. The pig raised $500, the other item raised $600 (split among two bidders). This totals $2100 dollars between 2012 and 2013! I’m glad to be helping the Joshua Center. Props to Becky Ottinger for all the hard work she has put into building up the organization and keeping it running smoothly. You can find out about her work here.